Elegant postcard-style personalised A6 Single Sided Wedding Invitations are supplied on a thick heavy weight (270 gsm) hammered card stock. They are available in white or ivory. 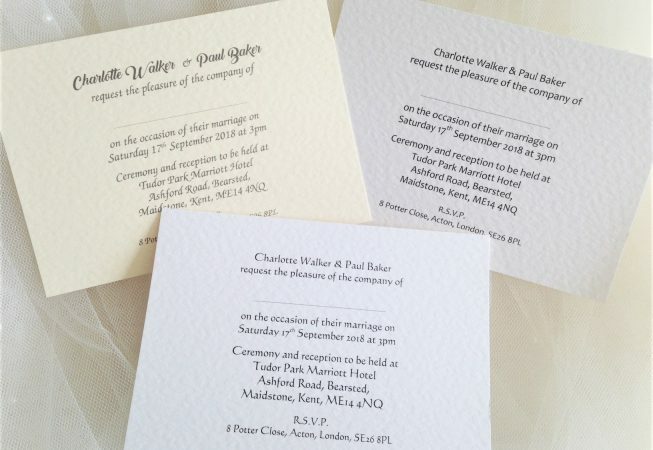 They start from an incredible 60p each for a fully personalised wedding invitation. 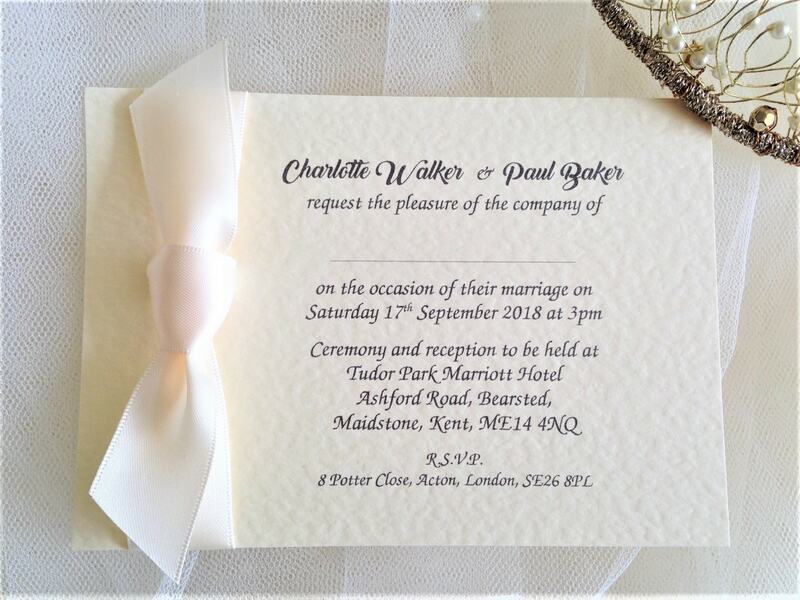 All our wedding invitations are supplied with free matching hammered envelopes and we can also print your guests names free of charge (this is optional). There is a good selection of font styles to choose from. Why not add a ribbon for a touch of luxury? We stock both satin and organza and have a huge range of ribbon colours to choose from. 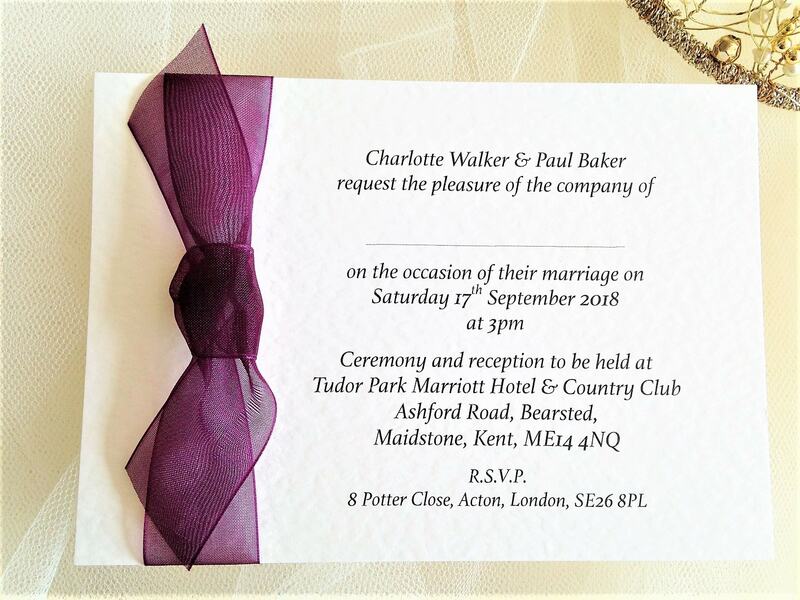 Our cheapest wedding invitations are perfect for couples wanting professionally printed invitations and have the freedom to add their own embellishments and decorations. 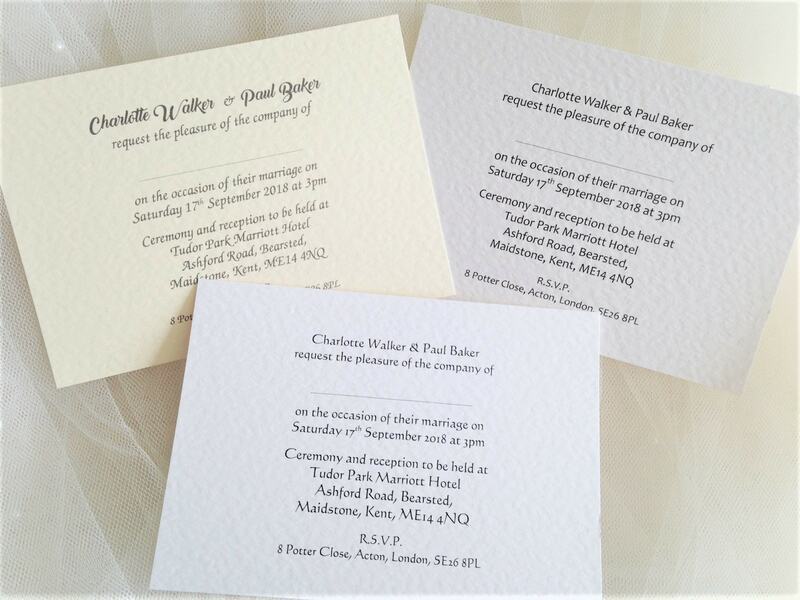 We are able to produce wedding invites in most languages but please contact us to discuss as, some of our typeface styles are limited to particular languages. 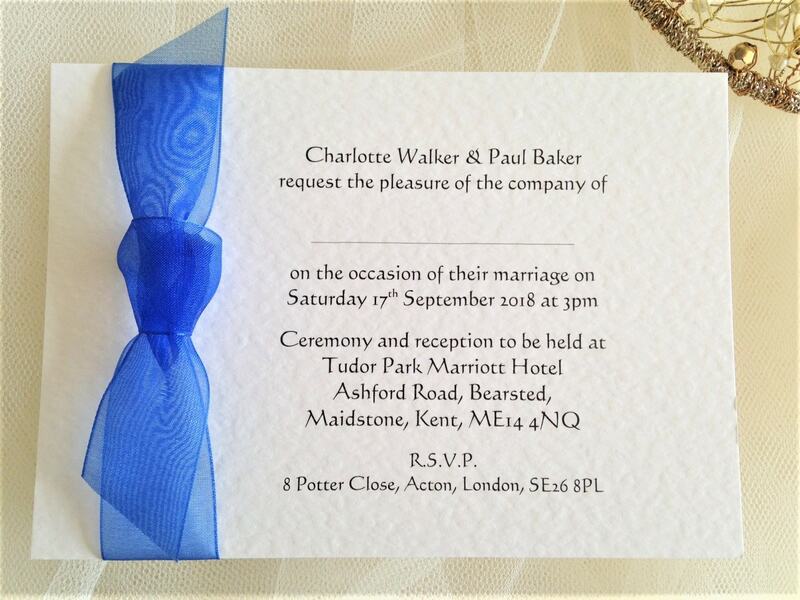 We understand it’s a busy time organising a wedding so invitations are supplied fully assembled, no self-assembly necessary.